John Firse was born on November 5, 1937, in Ohio. He enlisted in the Aviation Cadet Program of the U.S. Air Force on February 25, 1957, and was commissioned a 2d Lt and awarded his pilot wings at Greenville AFB, Mississippi, on June 27, 1958. Firse then completed Helicopter Pilot Training in January 1959, followed by service as an H-21 Work Horse, H-43 Huskie, and CH-3C helicopter pilot with the 1375th M&C Squadron at Turner AFB, Georgia, where he served until October 1966. Capt Firse deployed to Southeast Asia in October 1966, and served as an HH-3E Jolly Green Giant pilot with Detachment 5 of the 38th Aerospace Rescue and Recovery Squadron at Udorn AFB, Thailand, until December 1967. He then flew HH-52 Sea Guard helicopters with the U.S. Coast Guard from December 1967 to January 1971. After completing Armed Forces Staff College in July 1971, he served as a staff officer with Headquarters Military Airlift Command at Scott AFB, Illinois, until April 1975. Col Firse attended Naval War College from April 1975 to June 1976, and then the Defense Language Institute from June 1976 to February 1977. 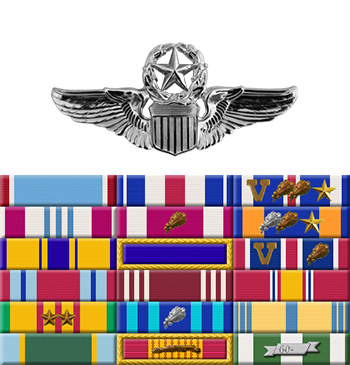 He was Chief of the Air Force Section at the United States Military Group in Nicaragua from February 1977 to March 1979, followed by service as a staff officer with Headquarters Aerospace Rescue and Recovery Service at Scott AFB, Illinois, from March 1979 until his retirement from the Air Force on December 31, 1982. The President of the United States takes pleasure in presenting the Air Force Cross to John A. Firse, Captain, U.S. Air Force, for extraordinary heroism in connection with military operations against an opposing armed force as an HH-3E Helicopter Rescue Crew Commander over North Vietnam on 11 June 1967. On that date, Captain Firse flew deep into hostile territory to rescue two downed American pilots. After rescuing one survivor from the dense jungle, he hovered over the second, with intense and accurate ground fire tearing into his unarmed aircraft and causing extensive damage. Despite continuing fire, Captain Firse persevered in the recovery effort until the second survivor was safely aboard. Although three of his tires were blown and the hull was extensively damaged from hostile fire, Captain Firse skillfully recovered at a forward operating base. 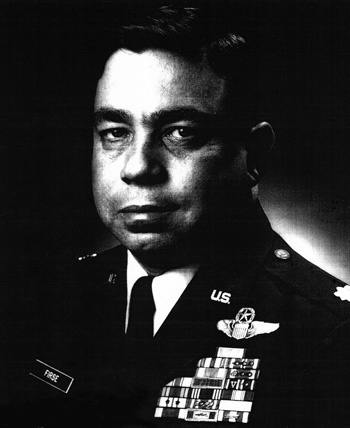 Through his extraordinary heroism, superb airmanship, and aggressiveness, Captain Firse reflected the highest credit upon himself and the United States Air Force.